Ukraine will abandon its non-aligned status and work towards NATO membership after a vote in the country’s parliament. Russian Foreign Minister Sergei Lavrov called the move “counterproductive” and said it would boost tensions. It is not clear when Ukraine will apply for NATO membership and many officials see it as a distant prospect. Ukraine’s President Petro Poroshenko pledged to seek NATO membership over Russian support for rebels in the east. Russia, which annexed the Crimean peninsula in March, denies supplying the rebels with weapons. However, it is subject to EU and US sanctions over the crisis. 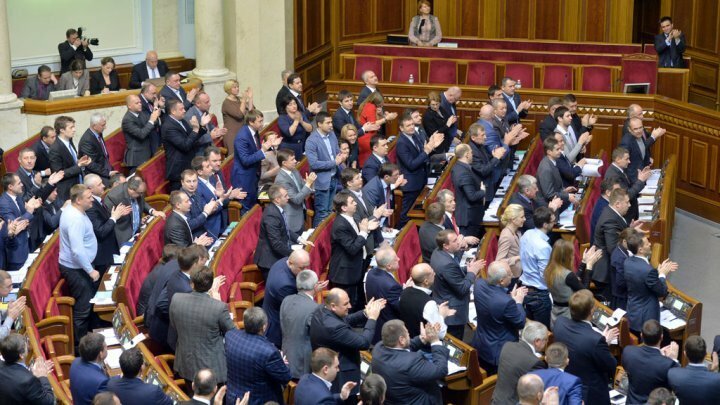 In a vote in Ukraine’s parliament on December 23, lawmakers overwhelmingly backed the move by 303 to eight. Speaking before the vote, Foreign Minister Pavlo Klimkin said Ukraine was determined to pivot towards Europe and the West. “This will lead to integration in the European and the Euro-Atlantic space,” he said. The non-aligned status, which Ukraine adopted in 2010 under Russian pressure, prevents states from joining military alliances. Addressing foreign ambassadors on Monday night, President Petro Poroshenko said Ukraine’s “fight for its independence, territorial integrity and sovereignty has turned into a decisive factor in our relations with the world”. Russia has made clear that it opposes Ukraine’s move towards NATO. In a Facebook post on Monday, Russian PM Dmitry Medvedev warned that Ukraine’s rejection of neutrality would have “negative consequences”. “In essence, an application for NATO membership will turn Ukraine into a potential military opponent for Russia,” he wrote. A NATO spokesman in Brussels said on December 23 that any accession to the alliance would probably take years, Reuters reported.